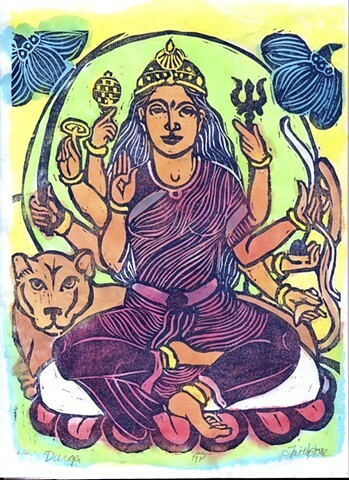 Durga is a protector goddess and remover of obstacles. She rides a lion or tiger. In this case I have her with a mountain lion as Colorado is their habitat. My idea is to move Buddhas and goddesses into the places where I live and spend time.